NCLEX-RN myths?!?! What do you mean? Who’s spreading rumors? Is it nurses, the internet, or my nursing school? Jeez, Louise! You guys would be surprised at all the crazy things that people come up with about the NCLEX-RN. There’s more fear and trepidation centered around this test than a black hole. Luckily, with a little research, we can separate the facts from the legends. Learning how the NCLEX-RN works and setting yourself up with a gameplan for passing will decrease anxiety and increase preparedness. So let’s do just that! False! The only thing standard about the exam is everyone’s fear of it! The exam is a Computer Adaptive Test (CAT). This type of exam is very different than the standardized exams you’re used to because it adapts the questions you receive based upon your response to the previous question. Questions will increase or decrease in difficulty based upon right and wrong answers. As you answer questions correctly, your competency rises or falls relative to the minimum passing competency level. Eventually the exam determines your competency level and shuts off. You’d be surprised how many people think the exam is still standardized despite knowing it’s called a CAT. I know I know! You were expecting this…. False! Please note: some people would call this blasphemy. However, I’m about efficiency and time management. I believe you can study for the NCLEX-RN and have a social life (but I digress). I personally received very few medication questions on my exam (read about my experience taking the NCLEX-RN here). My advice would be twofold: 1) Memorize the different categories of medications and their most common suffixes. 2) Memorize the handful of most commonly used meds in these categories. Memorizing this way dramatically streamlines time spent in on meds. Don’t forget to fully memorize though – this includes common side effects, adverse effects, etc. Memorizing meds got me like…. False! There is nothing – repeat, nothing! – that predetermines your test length. This the most classic of the NCLEX-RN myths. The dean of my nursing school even said this from the front of the classroom when first introducing the NCLEX-RN to us. Along these same lines, ending at 75 questions doesn’t guarantee passing or failing either. Your exam is completely individual. See myth #1 for more on that. False! Though many of these SATA questions are difficult, that doesn’t guarantee you’re always receiving passing level questions. These questions can be written above and below passing level. Definitely become familiar with them, definitely practice them (a lot! ), but don’t count on them to be the sign you’re above the passing line. Also, ending on an even number or on a question you think you got right doesn’t guarantee passing. False! Some people believe that ending on an even number means something. Others believe that if you correctly answer the last question before the exam shuts off that you passed. The truth is you can pass or fail the exam on any questions between 75 and 265 – that’s it. There’s no other hidden algorithm or predetermined scenarios running behind the scenes. False! The fear and anxiety of the exam combined with the handful of stories of people taking the exam multiple times creates the illusion that most people fail. This is not true! The National Council of State Boards of Nursing have published statistics on passing levels across all types of nursing programs. The truth is that most examinees pass! So relax. You’re going to do great! Now that the NCLEX-RN myths have been dispelled, check out some of the subjects you should be focusing on. Magoosh has got you covered. 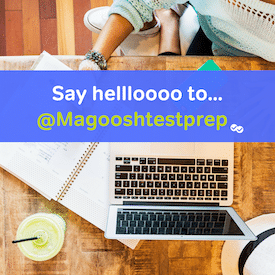 For more from me check out my page here and for more from other Magoosh NCLEX-RN bloggers check here. How Many Questions Can I Miss on the NCLEX-RN?